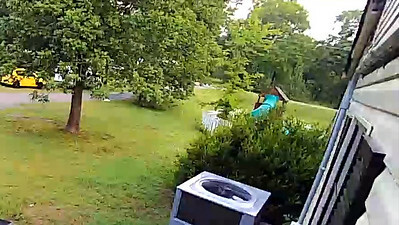 South Mount Juliet Road & Hobson Pike - Just before 8:45 AM, a semi-trailer truck traveling northbound on Hobson Pike left the roadway for reasons unknown, struck two mailboxes, narrowly missed a utility pole, traveled over some uneven ground, struck two trees and finally coming to rest partially on South Mount Juliet Road. 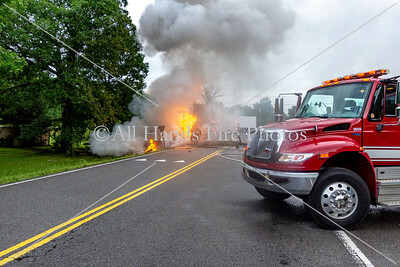 It is unclear what happened at this point, but a nearby resident heard an explosion and 911 callers reported the truck to be on fire. 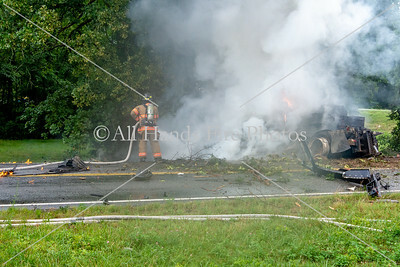 The callers also stated that the driver of the truck was out of the vehicle and laying on the ground. 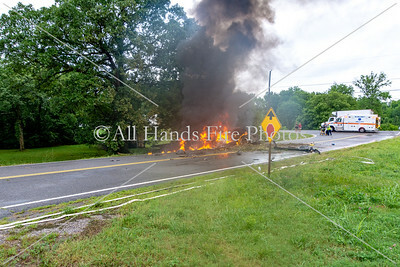 Firefighters and EMT's from the Wilson County Emergency Management Agency, Wilson County Sheriff's Deputies, and Troopers from the Tennessee Highway Patrol were dispatched to the scene. 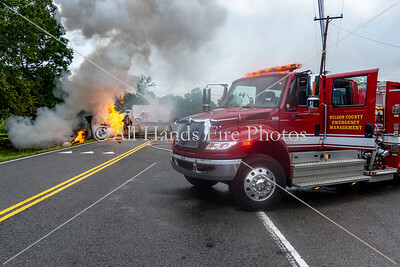 The first to arrive was Engine-51 (A Shift), with Medic-101 right behind them, and they advised they had what appeared to be a fully involved truck fire on the side of the road. 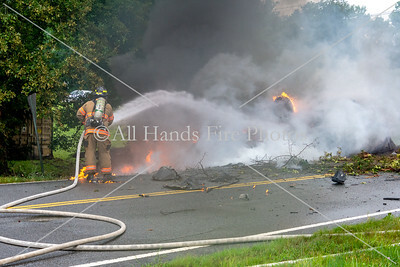 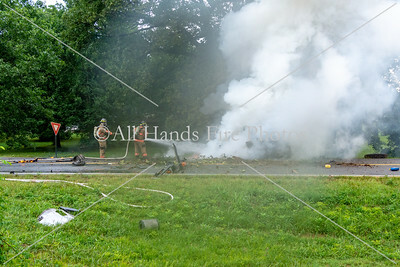 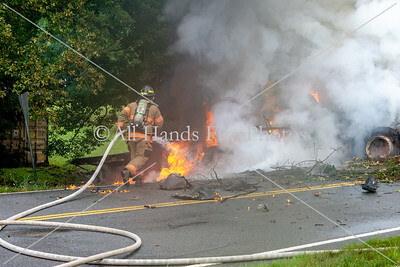 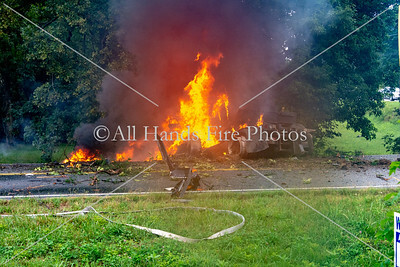 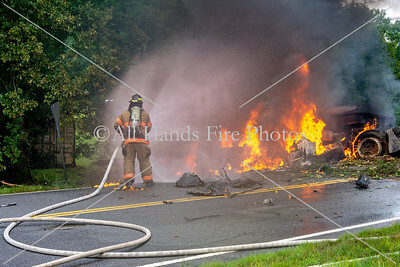 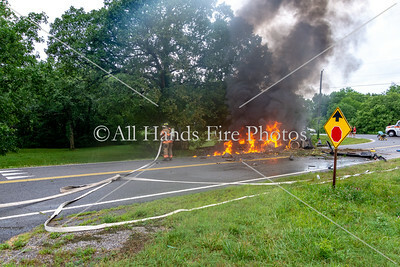 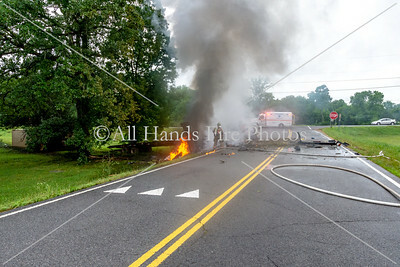 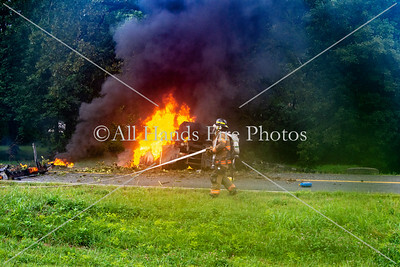 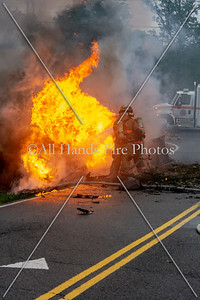 As firefighters worked to extinguish the truck fire, the crew from Medic-101 tended to the driver of the truck. 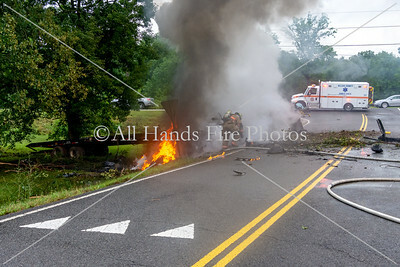 Engine-31, under the command of Captain Alan Kaiser , and Shift Commander James Copas  also responded to the scene to assist. 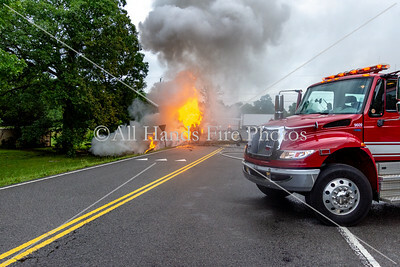 As Captain Kaiser began to gather information for the incident report, Commander Copas initiated notifications for the fuel spill cleanup and recovery of the truck. The driver of the truck, conscious and alert, was transported top an area hospital. 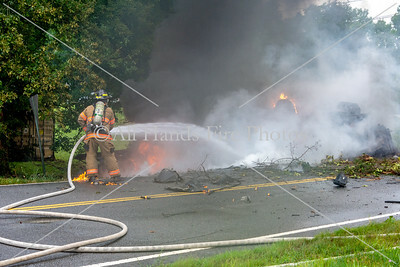 Once the fire was extinguished, crews picked up and prepared to get back in service. 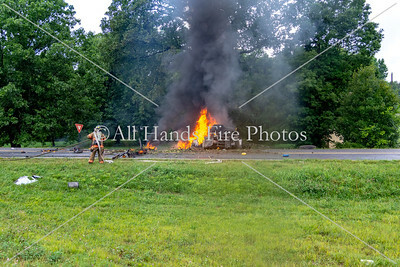 Once the hazmat cleanup company arrived, the scene was turned over to the Tennessee Highway Patrol.